Capel Vale is a pioneer within Western Australia and amongst the first to be established with vines planted in 1974. The initial winery was built on the Stirling Estate in Capel in 1979 followed shortly thereafter with the first vintage in 1980. Capel Vale was the first winery in Western Australia to own and establish vineyards in all the following 4 cool climate regions; Margaret River, Pemberton , Mount Barker and Geographe. As a result, Capel Vale now produces wines of definitive regional flavour and varietal expression with a focus on balance, complexity and elegant fruit flavours. As pioneers within the Western Australia wine industry, Capel Vale wears its feather with pride as the first family owned winery to identify and refine the viticultural potential in ALL the best cool climate regions in Western Australia. 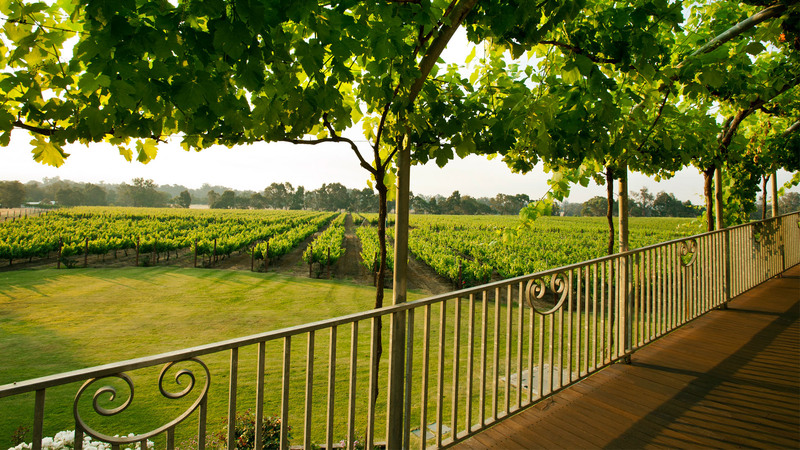 Mature vineyards are owned in Geographe, Mount Barker, Pemberton and Margaret River. While suiting a variety of consumers tastes and needs, these individual wines reflect a winemaking philosophy of wines with balance, complexity and elegant fruit flavours that gives rise to wines demonstrating distinctive regional essence of the finest four cool climate wine regions in Western Australia. A winemaking philosophy of wines with balance, complexity & elegant fruit flavours. From the company’s creation in 1974 by Peter Pratten, to recent new and exciting developments guided by son Simon Pratten, Capel Vale has always been one of the leading family-owned and managed wineries in Western Australia. However, not content to rest on their laurels and determined to continue to capture the imagination and passion of today’s wine drinkers, Capel Vale set off on a brave new phase in July 2007 – with the launch of a refined and enhanced portfolio of 3 wine ranges, namely the Single Vineyard Series, Regional Series and Debut Series. In 2015 our much loved Black Label Series is back to express an exalted selection of our best vintages and to celebrate the 40th anniversary of the family owned and operated winery. In 1986, Peter Pratten as winemaker produced a Capel Vale Riesling which was named Australian National Dry White Champion. An historic moment in the history of not only Capel Vale but also of Riesling in Australia. Today, Capel Vale is still family owned and managed. From July 2007, Simon Pratten took over as Chief Executive Officer from Peter and Elizabeth Pratten, however both are still heavily involved in the business. Capel Vale is a fully integrated wine business from vineyard to bottle. The Capel River, adjacent to Capel Vale winery is home to many species of waterfowl, including the protected Sheldrake, or native Mountain Duck. When the Pratten family originally planted the vines in 1974, the Mountain Ducks constantly surrounded them, reminding them of their presence whilst they work. Ducks are social animals, and adopt those around them as family and flock. In choosing this space as a place to create Capel Vale wines, the Pratten family knew that these ducks had to symbolise what Capel Vale is all about. For over four decades, the quacking of generations of Sheldrakes have reminded the Prattens and all those that visit Capel Vale, that they are part of something very special. The male Sheldrake possesses the exuberant orange band and is one of the only times we dare say that the male will outshine the female form! Amongst the first to be established in Western Australia with vines planted in 1974. Peter Pratten was the first to identify viticultural potential in the cool climate regions of W.A. – Margaret River, Pemberton, Mount Barker, and Geographe. As a result, Capel Vale now produces wines of definitive regional flavour and varietal expression with a focus on balance, complexity and elegant fruit flavours. In 1986, Peter Pratten as winemaker produced a Capel Vale Riesling which was named Australian National Dry White Champion. An historic moment in the history of not only Capel Vale but also of Riesling in Australia. Today, Capel Vale is still family owned and managed. From July 2007, Simon Pratten took over as Chief Executive Officer from Peter and Elizabeth Pratten, however both are still heavily involved in the business. Capel Vale is a fully integrated wine business from vineyard to bottle. While suiting a variety of consumers tastes and needs, Capel Vale wines reflect a winemaking philosophy of wines with balance, complexity and elegant fruit flavours that gives rise to wines demonstrating distinctive regional essence of the finest four cool climate wine regions in Western Australia. From the company’s creation in 1974 by Peter Pratten, to recent new and exciting developments guided by son Simon Pratten, Capel Vale has always been one of the leading family-owned and managed wineries in Western Australia. However, not content to rest on their laurels and determined to continue to capture the imagination and passion of today’s wine drinkers, Capel Vale set off on a brave new phase in July 2007 with the launch of a refined and enhanced portfolio of 3 wine ranges, namely the Single Vineyard Series, Regional Series and Debut Series. Cellar Door open 7 days 10am to 4:30pm. Match Restaurant open Thursday to Monday 11:30am to 3pm . Become a Friend of the Duck now to receive our exclusive members only coupon code direct to your inbox. Thank you for becoming a Friend of the Duck member. Check your email for your member only offers. Join our mailing list to go into the draw to Win One Free Delivery of our Debut Mixed Pack, plus receive our exclusive members only pricing & offers direct to your inbox. Thank you for becoming a Friend of the Duck member. Check your email for your new member 20% OFF coupon code.